I love Cathy’s new covers for all of this series. 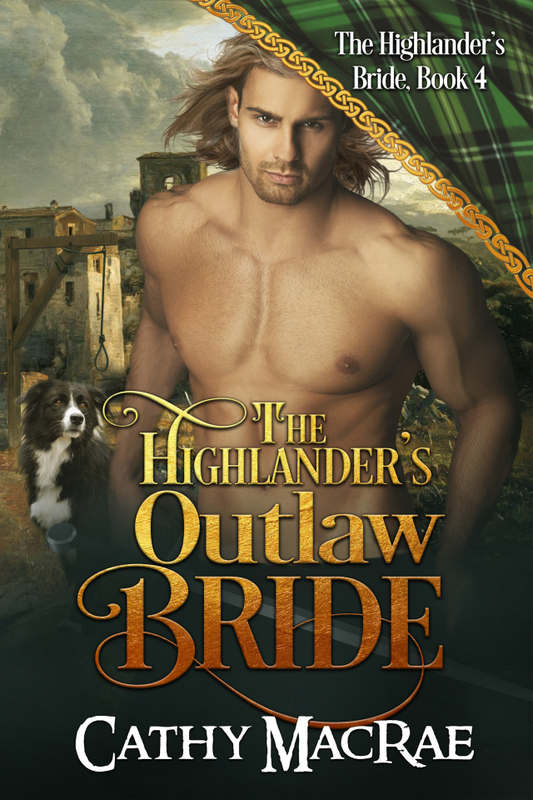 To celebrate the hot new covers for the Highlander’s Bride series, The Highlander’s Outlaw Bride is on sale July 12-15 for only 99 cents at Amazon! What will it take to turn an outlawed lass into a Highlander’s cherished bride? Thrust into the role of laird upon his father’s unexpected death, Connor MacLaurey returns home to learn his cousin has usurped his lands and title. Furthermore, his betrothed–a lass he barely knows and certainly did not agree to marry–is hunted by the sheriff, accused of stealing cattle. He intends to petition the king for clemency for the foolish chit, break the betrothal, and take his castle back from his treacherous cousin. Marriage is not in his plans.